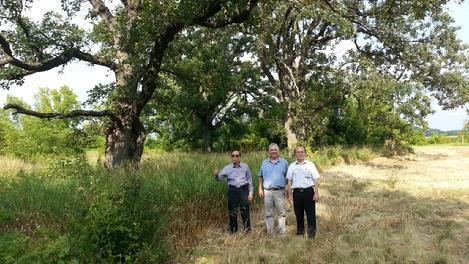 30 MINUTES FROM MADISON, WISCONSIN, U.S.A. The roots of the oak go very deep in the soil. If planted near a house, it will never damage its foundations. It is the best wood for a fireplace. Thus the oak is a symbol of depth, strength, warmth and protection. Create new meanings for deep learning using the OAK acronym: Optimism, Altruism and Knowledge suggested by the Eastern Mind would help address the current issues that our humanity faces. The papers will focus on philosophies of education, deep higher education, and a deep approach to world languages and cultures. Sugarland is one of Southern Wisconsin’s most enchanting garden sites. Imagine arriving along a tree– lined drive to a 19th Century country estate with verdant meadows and gardens. There you will walk down a lush natural aisle by a cascading fountain, under the shade of a majestic oak, and share the most important moment of your life with friends and colleagues in a refined country setting. 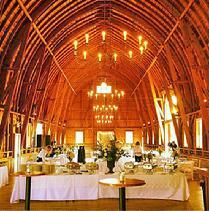 Later celebrate in the rustic elegance of a magnificent 1800’s barn. Nestled on 40 acres, Sugarland is situated in a major southern Wisconsin tourism area, close to the Wisconsin River and only 25 minutes from Madison and 10 minutes from the Spring Green home of Frank Lloyd Wright’s Taliesin, American Players Theater, and House on the Rock. As part of your stay go canoeing and hiking or visit the local attractions. You might want to prefer arriving at O'Hara Airport in Chicago (ORD) rather than Dane County Airport, Madison (MSN). The reason is that transfers from ORD to MSN are often delayed. A VanGalder Bus is available for $30 outside terminal 3 and 5 to Chazen Museum, 800 University Avenue, Madison (=Terminus). Waiting for a couple hours for transfer in Chicago plus one hour flight equates three hours by bus. 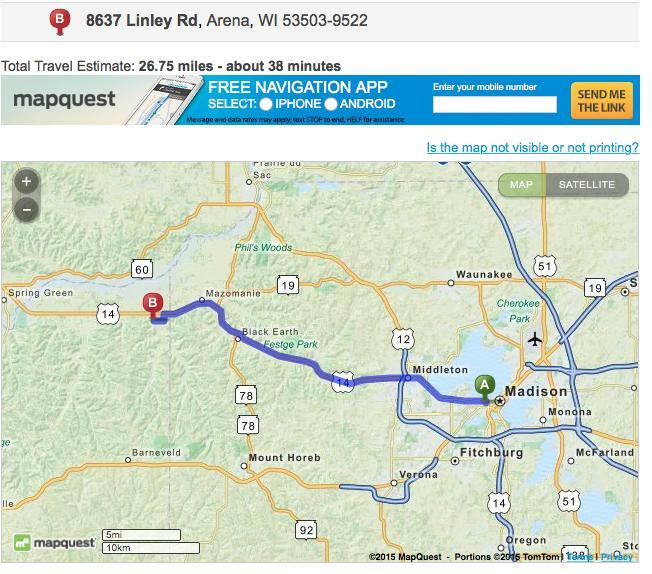 Another solution is to rent a car at O'Hara Airport and drive to Madison, Wisconsin. Especially if your credit card includes insurance, it can be very affordable and useful since the location of the Conference is in Mazomanie, 30 minutes away of Madison. We reserved a 8-seats bus for the Conference for participants who need a ride, nonetheless renting a car may give you more autonomy. You may book your hotel on www.booking.com Quite a few among us will lodge in Mount-Horeb rather than Madison. In Mount Horeb, the Karakahl Country Inn** (101 Perimeter Road, Mount Horeb, WI 53572) is $57 a night, only two rooms left. On July 3&4 all rooms booked except a few suites. Regular price for the suite is $179; special price for extended day for that particular week (July 1-7) $119 (+5.5% taxes) because of the lack of availability of standard rooms. The standard rooms with 2 queen beds are $119 per night on week days and $129 on week-ends. The hotel offers full continental breakfast, Wifi, swimming pool and hot tub. In Madison (10 miles from Mt Horeb) you have AmericInn Madison West***at $80 a night (516 Grand Canyon Drive, Madison, WI 53719, 2 rooms left) or in Middleton, you find the Country Inn and Suites Madison West*** at $85 per night (5 rooms left). Please reserve the hotel of your choice and let us know where you will lodge, the length of your stay, and whether you will have a car or not.